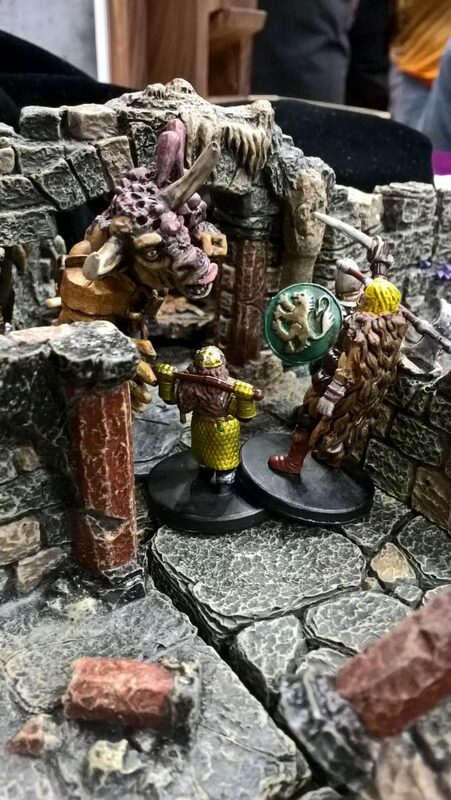 Pictures from the two “One Hour to Kill” one shot D&D adventures at the Dwarven Forge booth. 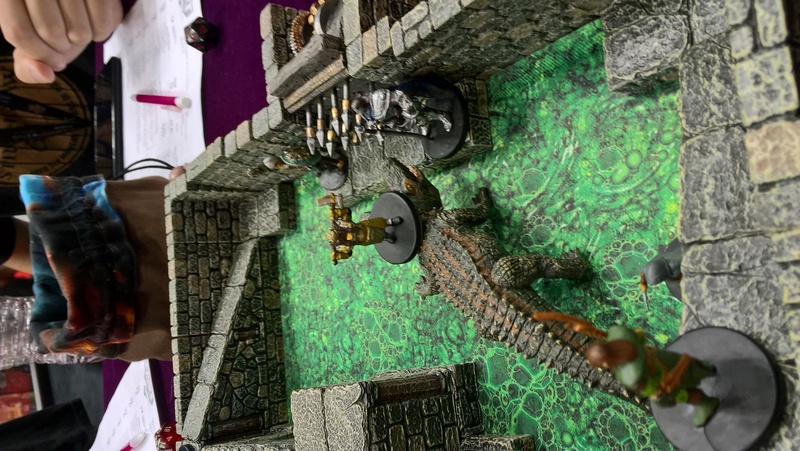 Our group has braved the dangers of a dungeon in search of a druid who had gone missing. 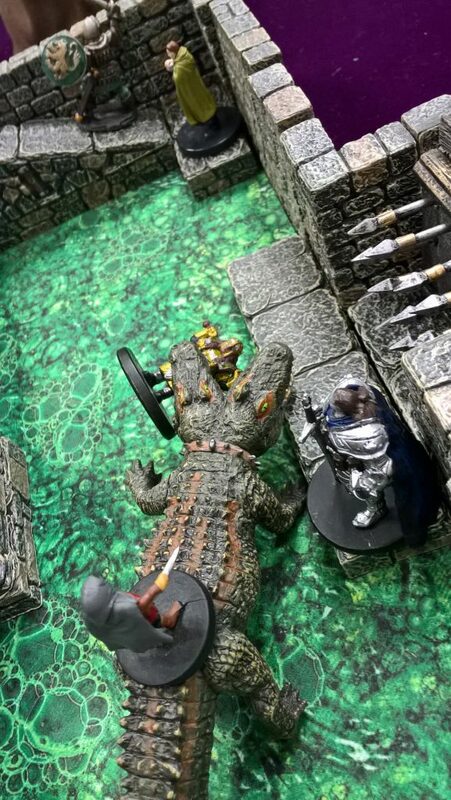 The last corridor set off a frenzied spear-wielding machine that pushed us into a room filled with an acidic stench. 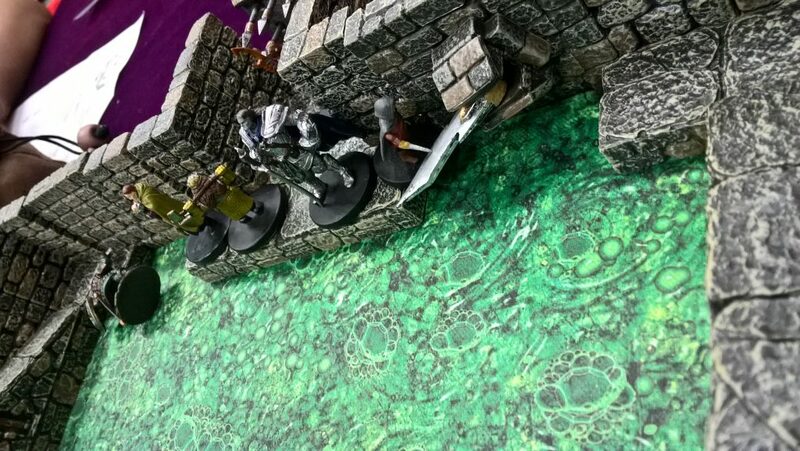 As we rushed in, and leapt over the foul-liquid, hinged blades swung out of the walls – cutting into flesh, and pushing us into the stinging fluid. 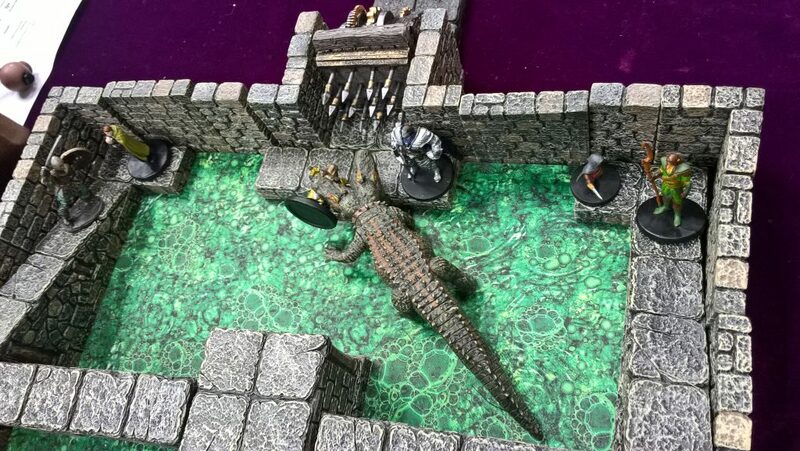 But the worse was yet to come, as out of the bubbling acid, a two-headed crocodile rose up! 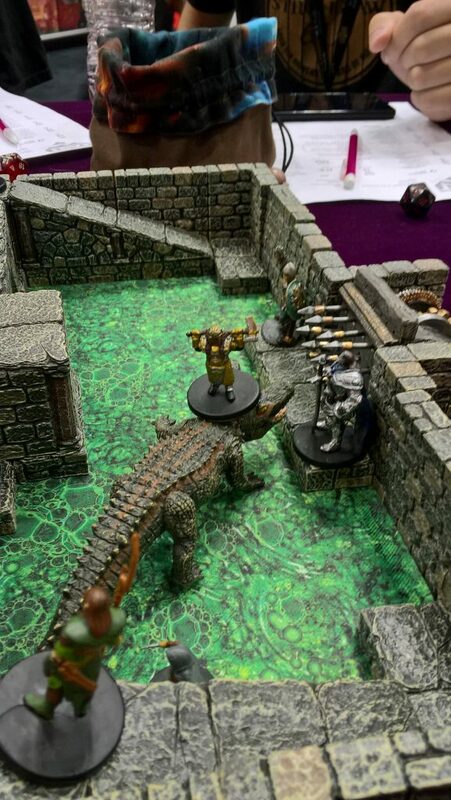 It grabbed a hold of the Dwarven Paladin in its powerful jaws, while its tail swept the Halfling Rogue into the acid. 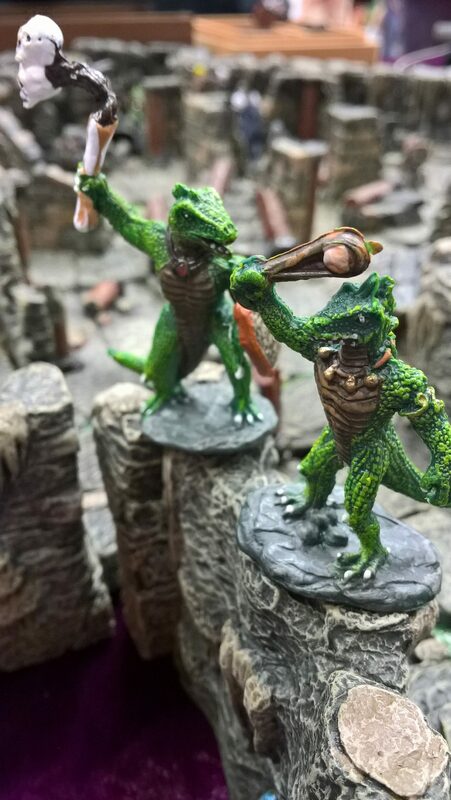 The rogue was quick enough though, to grab onto the muscular tail and ran up the reptiles back! 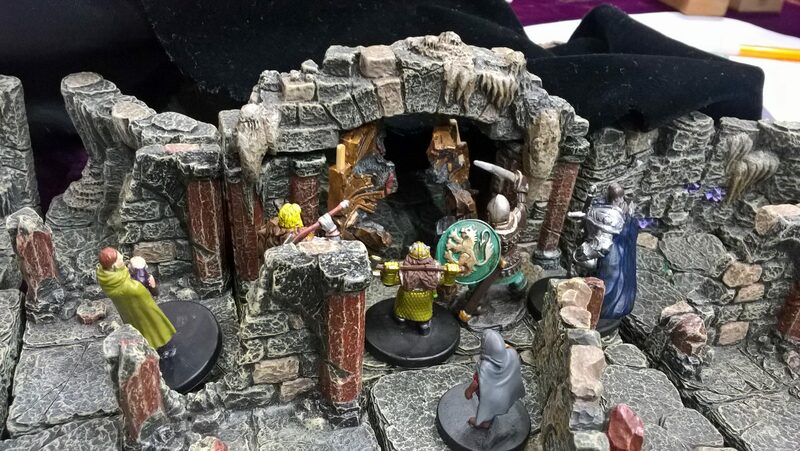 The bard and sorcerer destroyed pulsing orbs on the far side of the room which were sending healing energy in the creature; meanwhile, the distraction of the Halfling led to the Dwarf freeing himself long enough to jump onto its head, and deliver a migthy Smite! 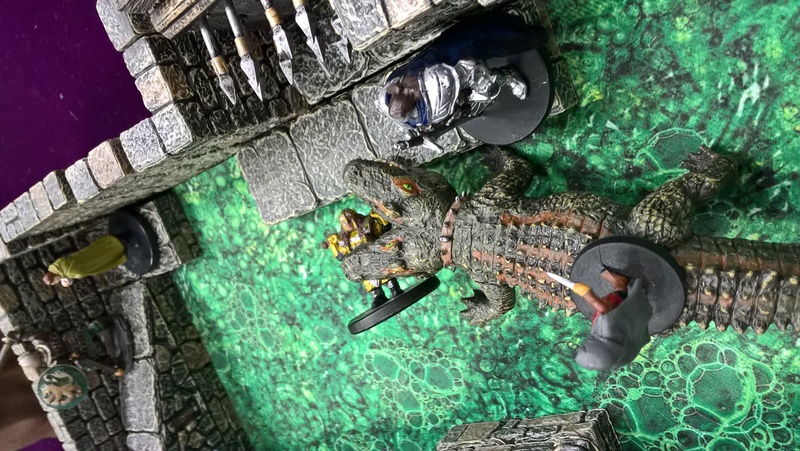 The crocodile slain, the adventurer’s were free to proceed out of the acrid room. 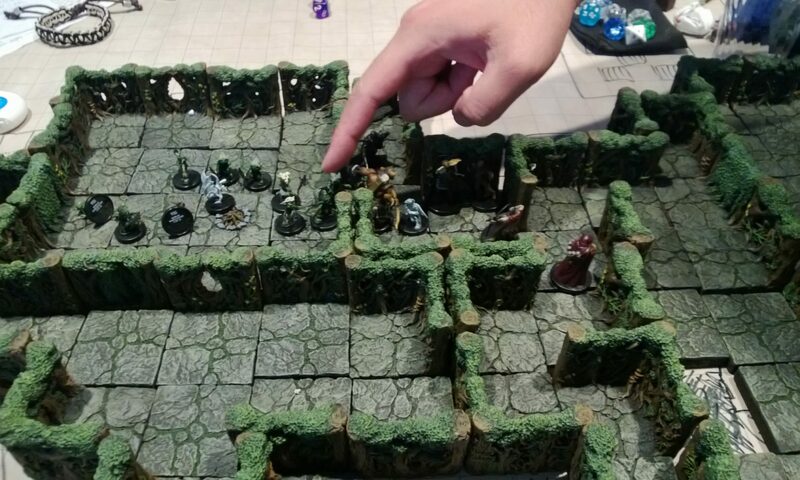 Later, the intrepid souls were teleported to a dark, damp cavern, fill with a mist of spores. 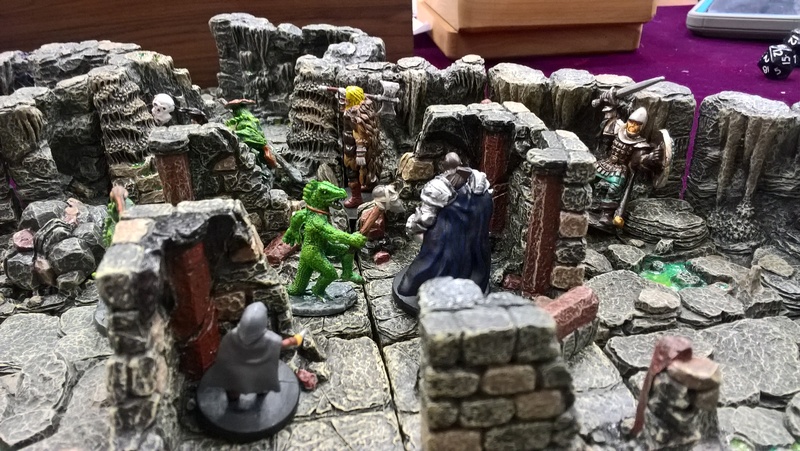 Before long, a group of lizard-men appeared around a corner, looking for their next meal! 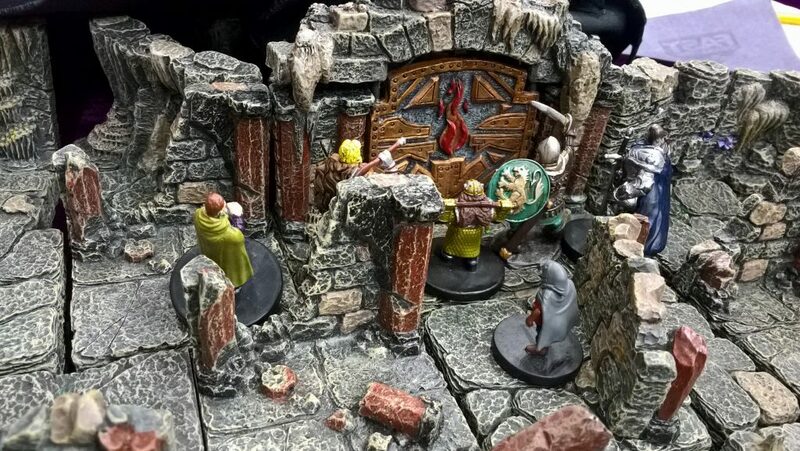 After defeating them, we came across an ornate door. 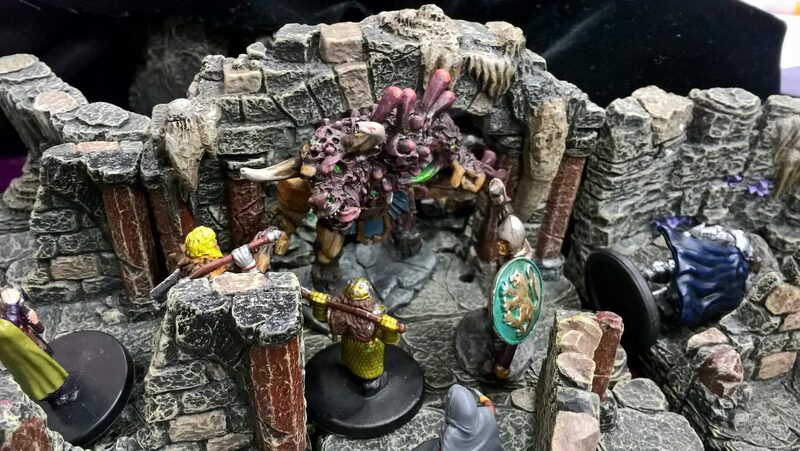 Bursting forth from within, a minotaur covered in fungal growths! 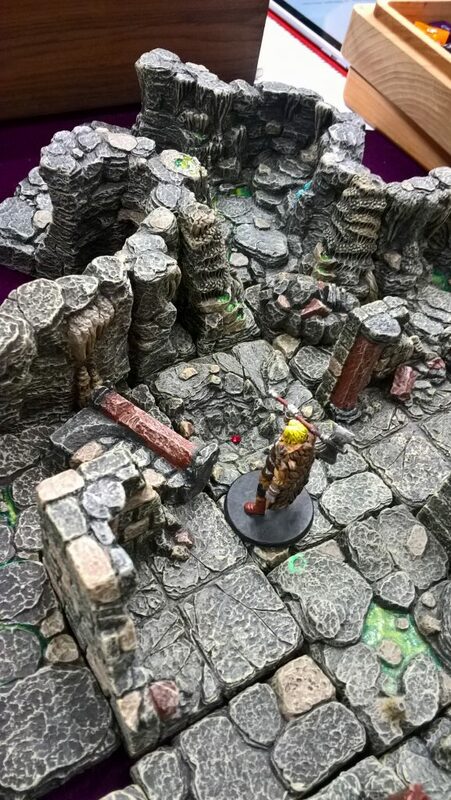 The barbarian ran off to search for it, and found it hidden in a pile of rubble. 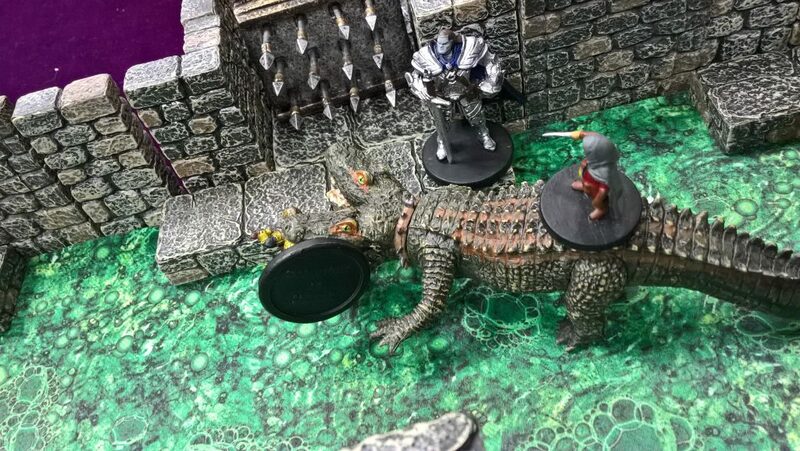 Upon returning the amulet to her, the growths disappeared, and she reverted back to her normal self, and ran in search of the lizardmen.